After yesterday's Nindies Showcase celebrations, the love for all things indie is positively everywhere. Joining the fun is Nintendo itself, with an 'Indie Sale' taking place on the Nintendo eShop from now until 27th March. Phew! Will you be downloading any of these games at their reduced prices? Remember, you have until 27th March for those in the Indie Sale (other game offer end dates vary). NoA is sleeping on us! Will probably get King Oddball again at that price, I have it from PSplus and I know it's a bit of an angry birds type game but I love the music so much (similar to the theme tune of that disenchantment show on Netflix which I also love). It's got a cool style and artwork. Worth a pound!! No time like the present to get Axiom Verge digitally on my Wii U. Added Thimbleweed Park yesterday with Gold points only £3.61 and I'm very tempted by Night in the Woods. Having a few days off work so I've managed to finish Portal 1 and 2 and now I've broken the back of Battle Chef brigade. Been ages since I have played games like this! @TheFanatic they're a bit mean on the discount front though aren't they? Just 10%. Suppose it has something to do with the legal action issues as per yesterday's article. @Kisame83 Not really. Many of the same games are getting the same discounts in the NA shop. There just isn't an article about it. @sikthvash it’s been cheaper in a previous sale. Still great game whatever the price. I was hoping to see a price drop on Salt and Sanctuary. I know it’s terribly expensive anyway, But this would be a double dip. There's even more stuff on the US sale, like Firewatch. Nice, shovelware and games that are on sale frequently. Super One More Jump is a nice distraction inbetween bigger games and it's basically a steal at that price. It plays with just one button, that's all. But it still manages to get super tough later on. 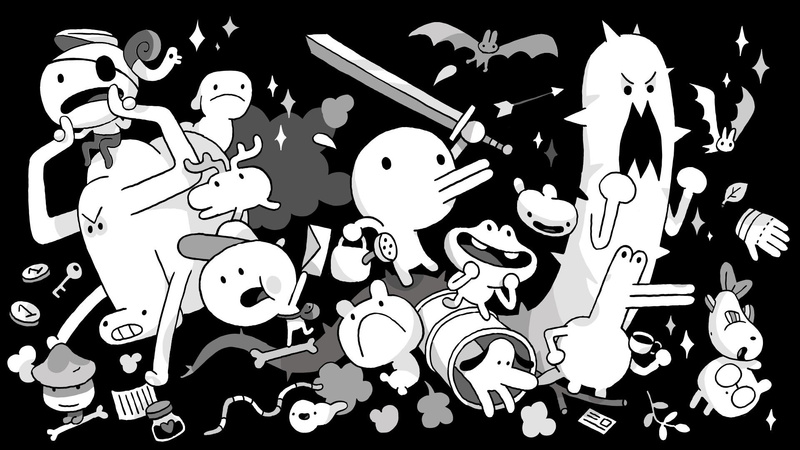 Minit is worth a shot too. It may not last you much longer than probably three hours, but it's a fun three hours at that. Do you think it's good? But no Crypt of the Necrodancer. Bummer. Immediately bought Thimbleweed Park, such a fantastic game. Third platform and third time I paid for it. Ron Gilbert and David Fox are excellent adventure game designers. There's a few differences I see, like Firewatch in NA, but The Mummy Demastered in Europe. @polarbear I've got my eye on that one too. But I'm holding out for clock simulator! Considering the Switch could be the ultimate console, it's more and more disheartening to see the lack of third party AAA games. Indie games should be a minority in a console's game offerings (as it is on the other two). Come on, Nintendo! We want the real games! I'd recommend mr shifty, it's a great game. @construx you have a point here. This is mediocrity jungle 2.0. Some gems for sure, but the jungle is incomprehensible. I want the big full games, and not just the ps/xbox types. After a great year from Zelda to arms to splatoon to xenoblade, where is my pikmin? Fancy inside and a night in the woods, not that much of a discount though!! Picked up Inside and Yooka Laylee (which is down to €20). That's me sorted for awhile. Was surprised not to see Crypt of the Necrodancer on the list. Not actually anything there for me but I want more AAA retail games as I have loads of indies already. @Kisame83 NoA is having a sale too though. Could you guys post an article like this for the NA eShop too? I know NL is located in Europe but this is super convenient, much better than scrolling through the eShop! @antdickens Any chance you could add a column for NintendoLife review score to these tables? Would be good if we could sort by score to filter out the chaff. On the eEhop Gardens Between is full price (UK). Recommend yoku's island express. Just finished it, great little game. Will take a look later at my wishlist and maybe pick up a couple of these. Yet again, no Celeste discount in sight. I wish Nintendo had a limit to how often a game could be on sale each quarter. I am so tired of the list being super long, but always including so many of the same semi crap indie titles again. It feels like the devs spam the sales in the hope of getting double exposure, which is likely what they do. But in doing so they make the actual interesting sales drown.